Healthy eating plans promise the world, but we all know developing healthy eating habits takes more than a menu. 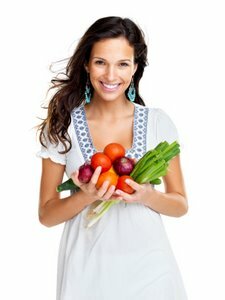 Become a success story by learning how to stick to your daily healthy eating plan. Many of us have great intentions when it comes to improving our health through food. We recognize that what we put in our body affects our overall health, either in a positive or a negative way. We want the health and vitality that comes from a healthy diet, along with the possible cost savings in both the short and long term, but a lot of us are overwhelmed and do not know where to start. Or perhaps we begin our healthy eating plans with a lot of enthusiasm, but our commitment to healthier eating habits falters after a short time and we find that we soon return to our old ways. So what does it take to make a daily healthy eating plan really work? Motivation will be your driving force to not only start a healthy eating plan, but to stick with it. The most important thing to remember is that motivation needs to come from within you. Your chances of sticking with a healthy diet are much lower if you are trying to change your ways for someone else. Take time to really become clear on your motivation, as this will be your backbone and fuel to keep committed when times get hard or when temptation strikes to go back to your old ways. Your motivation could be to lose some unwanted pounds, to gain energy, to improve a health condition, to impact the environment through your everyday choices, or to add years to your life and have the good health to enjoy the extra years to the fullest. It could be to demonstrate to your children or others whom you love how to take care of themselves. Your example and the positive changes that they will surely see in you will inspire them more than just your words ever could. It may help to write down your motivation for switching to healthy eating plans, or to collect pictures that remind you of your goals. Try to surround yourself with people that inspire you, whether they are people you can be in personal contact with in real life, or are friends through the internet with supportive websites or blog communities. If you stay open-minded and alert, you will soon start to train yourself to find motivation everywhere you look. You will see it in the people who make the choices that match up to your goals. You will also be motivated by the people whose poor health or bad eating habits remind you of the road you do not want to be heading down! It is easy to say that you want to be on the road to better health. Who wouldn’t want to be? Self-discipline is what sets apart the people who stick with changes in their daily healthy eating plans from the people who may talk a good talk, have good intentions but end up right back where they started from. If you feel yourself starting to slip back into some less-than-healthy habits, forgive yourself, pick yourself up and shake yourself off and get right back on the path to health. An old Japanese proverb states “Fall down seven times. Get up eight”. Keep your motivation as a reminder in plain sight where you can see it often, whether it be something that you wrote down or inspiring pictures that you collected. Something that helps to keep you disciplined is to have consciousness of your mindset. Are you thinking of these healthy eating plans as something difficult, or as an opportunity? Are you thinking you are depriving yourself of junk food, or that you are nourishing yourself with health food? Small changes in your thinking can be the difference between feeling like you begrudgingly should stick to your plan, and enthusiastically wanting to stick to your new and improved healthy eating habits. It does not take a degree in Nutrition to understand some basic concepts about healthy food menus. Begin by looking at labels. If you can pronounce all of the ingredients and can visualize what they look like in your head, you are off to a good start. Ingredients that include hyphens, numbers, colors, “artificial”, or “partially hydrogenated” should be a red flag. Try to consume your food in as close to its natural form as you can. For example, it is a healthier choice to eat a delicious ripe pear right off of the tree than it is to eat canned pear chunks that may have been sitting on the store shelves for the past year, soaking in high-fructose corn syrup. There are many free sources in today’s internet world that can help you learn more about good nutrition, or go to your local library to check out some books on the topic.